Part picnic; part carnival; part DIY music. All afternoon fun. ROCK THE LOBSTER will be in North Lodge Park, Cromer, giving performance artists a chance to perform. The day is to enable local performers gain experience, improve their skills and, perhaps most importantly, enjoy themselves! There will be 15 minute sessions across the afternoon giving amateur performers a chance to demonstrate their talents and to give novices of all ages an opportunity to shine. If you wish to perform please bring your instrument(s) and back line, if required. Come along to participate, or just bring a picnic and chill out while supporting the performers. If you want to book a slot to perform, email openmic@coastarts.co.uk or just turn up on the day. 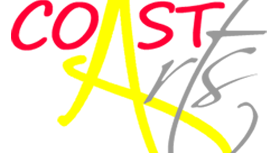 ROCK THE LOBSTER is a voluntary group that runs a regular open mic promoting all performing arts (including: live music, poets, magicians, dancers, etc). We are funded entirely by sponsorship and donations. RtL aims to give amateur performers a chance to demonstrate their talents and to give novices and children a go. This enables local performers to gain experience, improve their skills and, perhaps most importantly, enjoy themselves! Please check rockthelobster.com for details.